Two recent secondees, Will Hawkes from King's College London and Matt Tyce from the University of Manchester, discuss their PhD research and OIT placement. 1. What is your PhD research on? Will: My PhD is in Biology. I investigate the physical forces that cells exert on their environment, how the internal responses of a cell react to these forces, and the cues the cells derive from their surroundings. This research has implications in cell development, for example genetic defects and disease. There are two elements of my work, one is working in nanoscale engineering in the fabrication of materials, and the second is growing cells and using biological techniques to have cells express important things inside them. A key technique is making things glow by using fluorescent probes to make cells light up so that you can see the things that you want. Matt: I am doing my PhD in International Development. I am looking at the politics of business in Kenya and how this affects businesses’ growth strategies. I conducted 96 interviews with businesses, bureaucrats, politicians and journalists. I found that political connections are important, but so is ethnicity. Kenya’s political system produces unstable governing coalitions that are based on uneasy alliances between otherwise conflicting ethnic groups, so it is important to have both political and ethnic connections for business growth. 2. What do you enjoy most about your research? Will: I love my lab work. We have to biologically manipulate cells and then conduct experiments on them. Matt: Field work! I spent 10 months in Kenya during my second year, meeting and interviewing very interesting people. 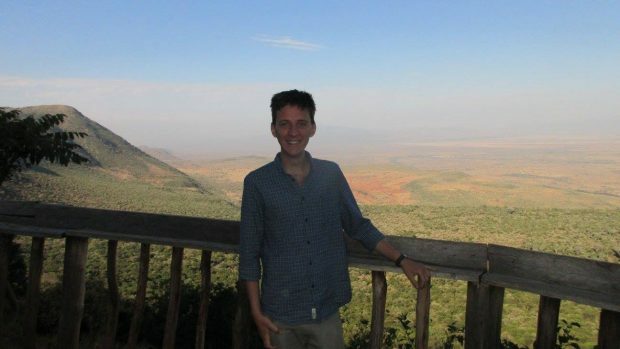 Matt Tyce in the Rift Valley, Kenya. 3. What have you been working on with OIT? Will: I have had two main areas of work during my placement. One is on the ageing grand challenge where we have been working with the Centre for Population Change at Southampton University. The second project was on competition policy, where the OIT is looking to identify pro-competition reforms in key sectors. Matt: My main project has been a deep dive review of the rural economy to inform Defra's thinking on how to boost growth in rural areas. To complete this work I followed a similar process to my PhD research. I conducted a literature review and interviewed academics from a range of disciplines, including economists, economic geographers and rural specialists. This report will be the starting point for a roundtable discussion with academics to identify areas of consensus in rural policy research. 4. Have you enjoyed working with OIT? Will: Yes! I have really enjoyed it here. Great people to work with, and it is also great having the Cabinet Office email address as it opens a lot of doors for you outside government! Meeting and talking with academics in different subjects has been great. I have also found the topics I have been working on very interesting, and the work could have an important influence in the future. I’ve enjoyed working on really interesting contemporary issues that are important to a lot of people. It has definitely been an enjoyable challenge. Matt: Same, I have really enjoyed it, and for similar reasons. Defra are excited to use the work I did for them both internally and with other departments such as BEIS or HMT, so I feel like I have contributed to policy discussions and debates. It is exciting to be involved in shaping policy. I have also enjoyed going from an academic environment where I think about one thing all day every day, to moving between a mix of tasks and projects. Alongside my work for Defra I got to help with a number of other team projects, which made my work quite varied. 5. Do you think it will have an impact on your research? Will: It will not have a direct impact on my research, but I knew that when I started the placement and it was a deliberate choice to experience something new. I will take away a number of transferable skills, such as the ability to work quickly and independently on a new task, general communication skills, and how to confront a new challenge head on. I also feel I’ve developed my networking skills and how to communicate work in an appropriate and relevant way for a wider audience. Matt: Definitely. I now have a greater awareness of how academic research can be made more relevant to policy makers. I have also thought about how to pitch presentations for a policy audience or to academics. I have a greater understanding of how the outputs of academic research can be made more relevant for policy making. 6. Do you have any other thoughts from your time in OIT? Will: I think you can get a lot out of the placement experience even if it is not your research area. It is not essential to be a specialist in the work you are doing in OIT as it is a rewarding experience to take on interesting policy work in any area. Matt: OIT does valuable work in supporting other departments in Whitehall engage with academics. PhD students can make an important contribution through this secondment role where you have the opportunity to bridge the gap between academia and policy making. Even within a 3 month placement you can connect people that will shape policy moving forward. If you would like to get in touch with us about PhD secondments or our ongoing work in the areas discussed above you can email us openinnovation@cabinetoffice.gov.uk or follow us on twitter @openinnovteam.